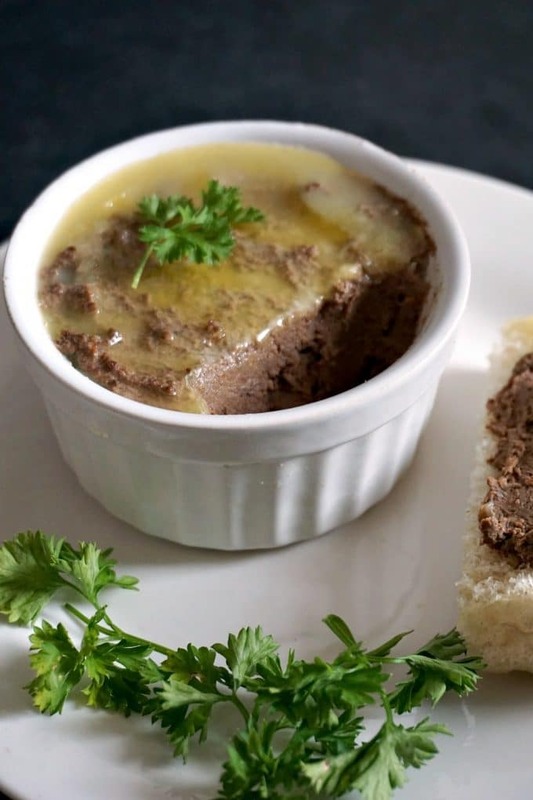 Quick chicken liver pâté, a delicious cold appetizer to feed a crowd. It has a smooth, creamy texture and it goes very well with any kind of bread, crackers, breadsticks and more. 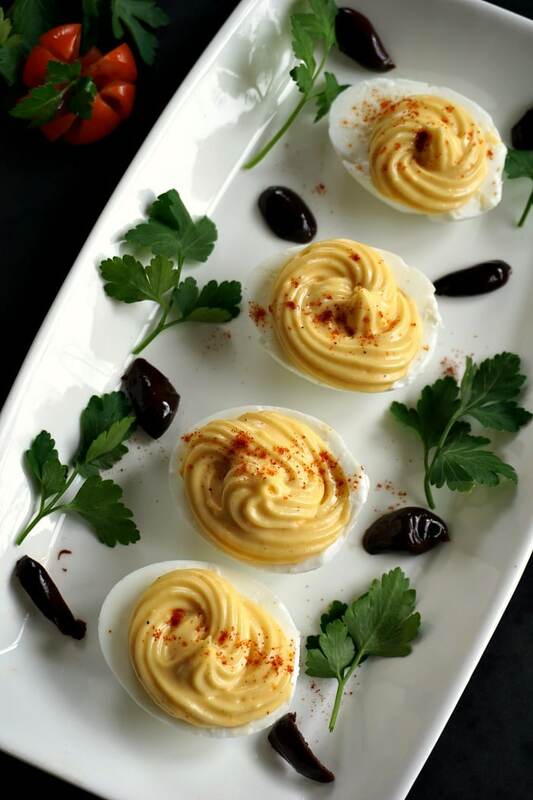 It’s an excellent appetizer for parties and gatherings, and it’s sure to impress the guests. No one will ever believe it is a homemade pâté. Chicken liver might not be something that a lot of people enjoy. But apart from the endless list of vitamins and minerals that it contains, it is actually really tasty if cooked properly. Grilling would probably be the first choice though. I remember when I was little (and very fussy), that chicken liver was one of the very few foods I was actually happy to eat. Mum used to grill it and serve it with polenta and sour cream. Now, that is a proper feast, trust me! And cooked in a nice tomato sauce, it’s so delicious, I have the right rceipe for you: Romanian Chicken Liver with Onions and Polenta. 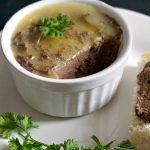 My recipe of liver pate is a bit different from the store-bought chicken liver pâté, but that’s because it has no additives, and all the nastiness. I don’t even want to know what actually goes into those ones. 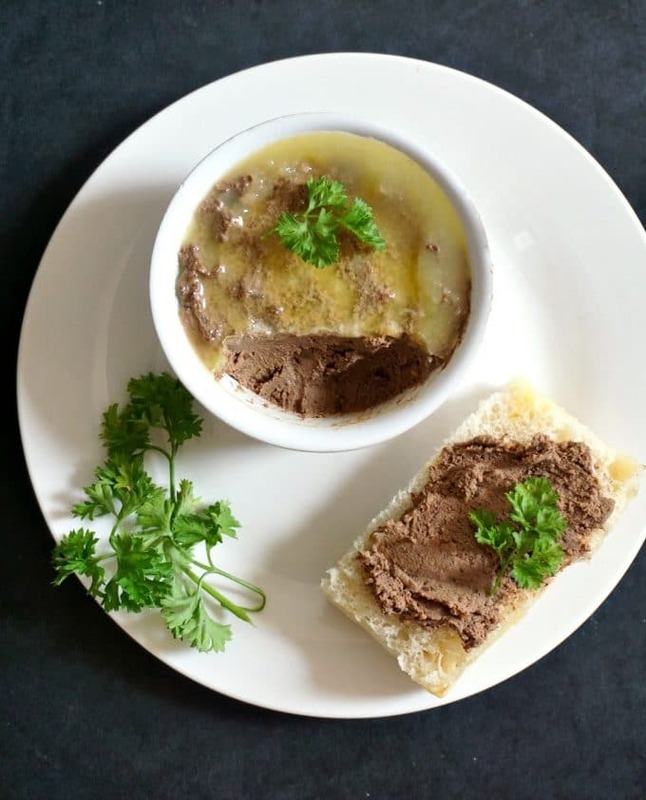 How do you make chicken liver pâté? My recipe of quick chicken liver pâté is without alcohol. Most of the store-bought versions would most certainly have alcohol added. I don’t really drink alcohol, so, since you’d never find any bottle of any kind of alcohol in our house, I don’t really buy any specially for cooking. To make the pâté, start by rinsing the livers in cold water, pat them dry with a kitchen paper, then heat up a grill pan and grill the livers on both sides until done, it might take around 7-10 minutes depending on the heat. In another pan, add the butter and oil, and sautee the onions and carrots until tender, then add the cooked livers, cream cheese, parsely and pepper. Use a hand blender or any blender you have to blitz the livers until you get a smooth paste. Tranfer the pâté to 2 rameskins, top with melted butter and leave to cool. How long do you keep chicken liver pâté in the fridge? Now, storing the pâté is very important. I would’t leave it in the fridge for more than two days, and I would advise to consume it within a day once the butter seal is removed. Sealing it with butter helps keep it fresh, so that’s one step not to be skipped. I usually transfer the pâté to ramekins and cover them with clingfilm and then refrigerate. Even if you buy ready-made ones, I think it’s still better to transfer them to a different dish and not leave them into the can/package it comes with after you open it. With the holiday season not too far away now, this chicken liver pâté is perfect for your Christmas and New Year Eve party together with a nice smoked salmon pâté. Best to make it the night before and refrigerate, so you can then enjoy it cold the day after. The butter will then have plenty of time settle, and the pâté will taste just right. I have never tried to freeze it, not quite sure if that would be ideal though, it’s one of those dishes I would rather have while it’s fresh. I did not use any strong herbs, but thyme, bay leaves or nutmeg would be a good choice. You might want to add a clove or garlic too, but I decided to keep it simple, but tasty. 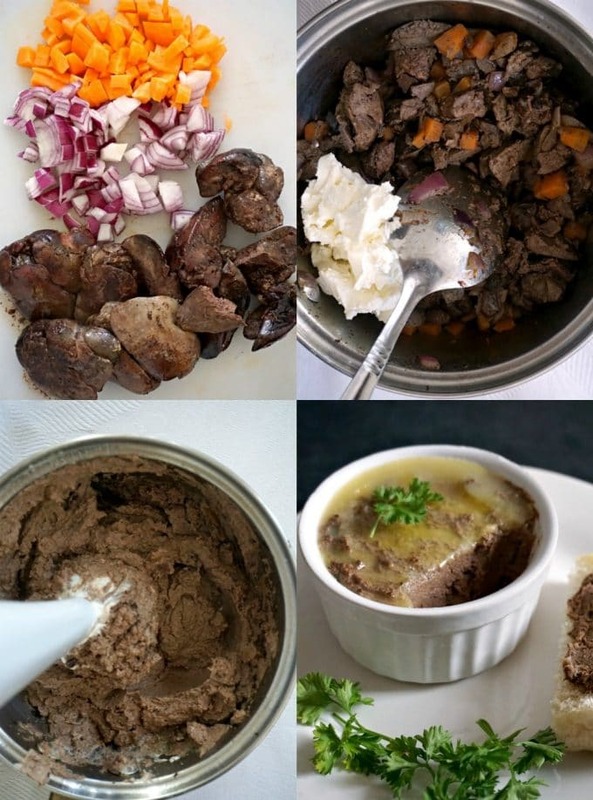 If you’ve liked my QUICK CHICKEN LIVER PATEE or any other recipe on the blog then don’t forget to rate the recipe and let me know how you got on in the comments below, I love hearing from you! You can also FOLLOW ME on FACEBOOK, and PINTEREST to see more delicious food and what I’m getting up to. 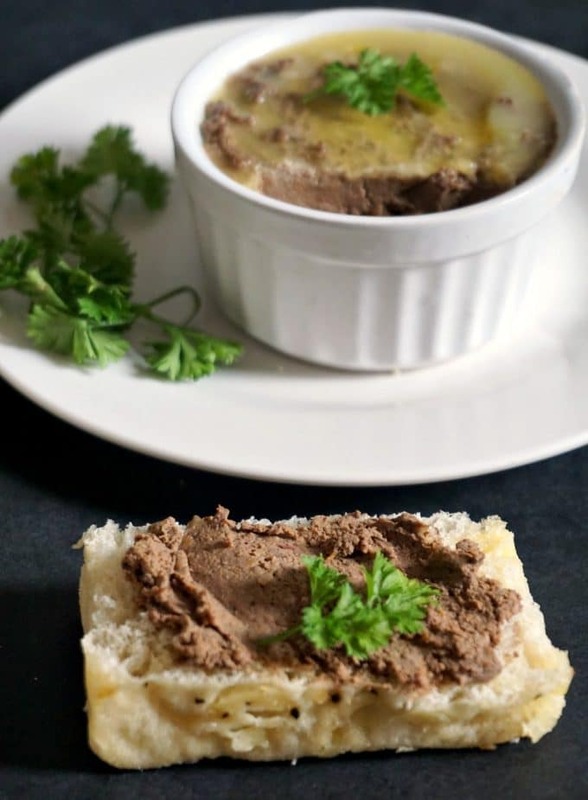 Quick chicken liver pâté, a fantastic cold appetizer to feed a crowd. It has a smooth, creamy texture and goes really well with any kind of bread, crackers, breadsticks and more. Best served cold from the fridge. Rinse the chicken livers with cold water, then gently pat dry with kitchen paper. Heat up a grilling pan and grill the livers on both sides for about 6-7 minutes or until cooked through. Chop roughly and set aside. Chop the onion and carrots, and add them to a pan together with the olive oil and one tablespoon of butter. Sautee for about 3 minutes until soft, then add the chopped chicken livers and stir continuously for 2 minutes. 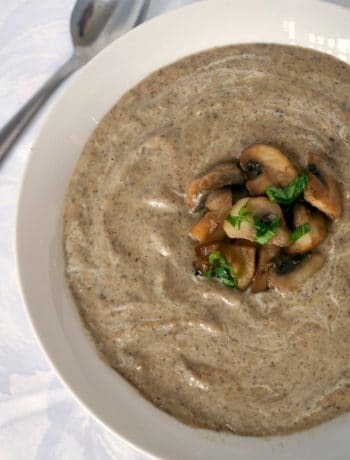 Add the cream cheese, ground pepper and half a teaspoon of parsley and stir to combine. Use a hand blender to blend until smooth. Transfer the chicken liver pâté to two ramekins, melt the remaining butter, then pour it over the pâté. Leave to cool, then cover with clingfilm and refrigerate. 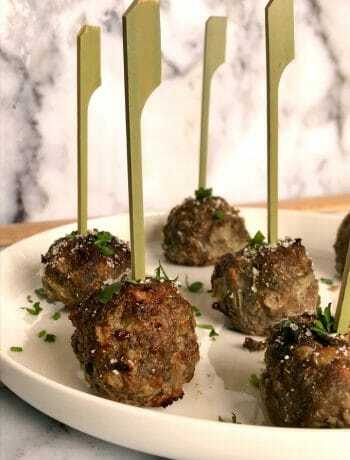 Serve cold, garnished with parsley. Nice! I save up chicken livers until I have enough to make pate — yours sounds like the next recipe I should try. Thanks for sharing at Fiesta Friday!